Joan Baez breathed new life into folk music in the 1960s, powering rock music's turn toward social and political consciousness. Images from the Sing Out! Records Collection and the Bitter End Records Collection at the Rock and Roll Hall of Fame Library and Archives. 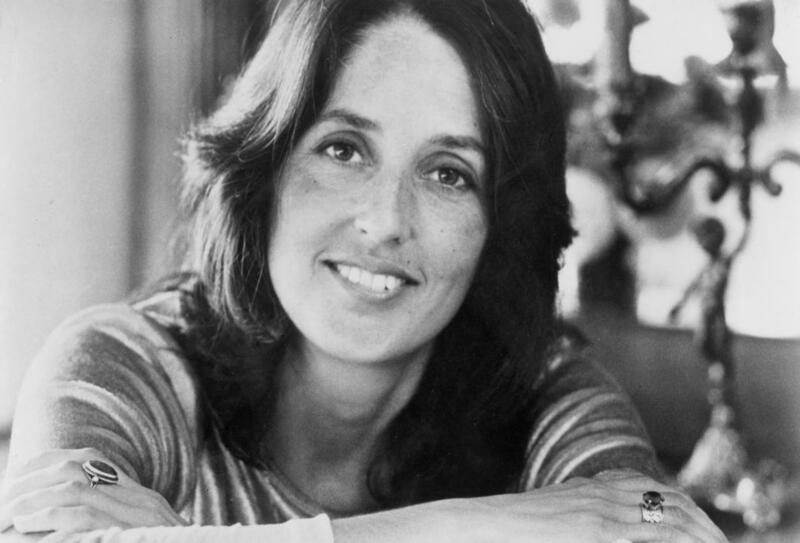 All our library audio on Joan Baez can be found here. Bob Dylan, vocals, guitar, harmonica ; with Joan Baez, vocals (in the 15th-18th selections). 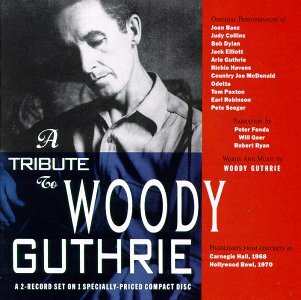 Live concert originally recorded Philharmonic Hall, New York. October 31, 1964. All our video on Joan Baez can be found here. 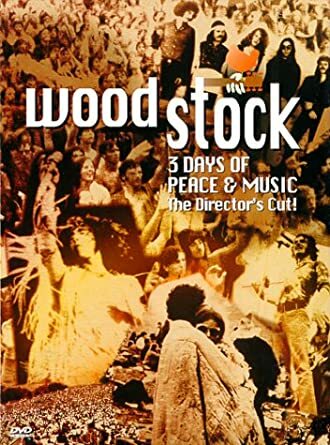 Filmed at The Woodstock Music and Art Fair, Bethel, NY, August 1969. Features live performances by various artists including Joan Baez. 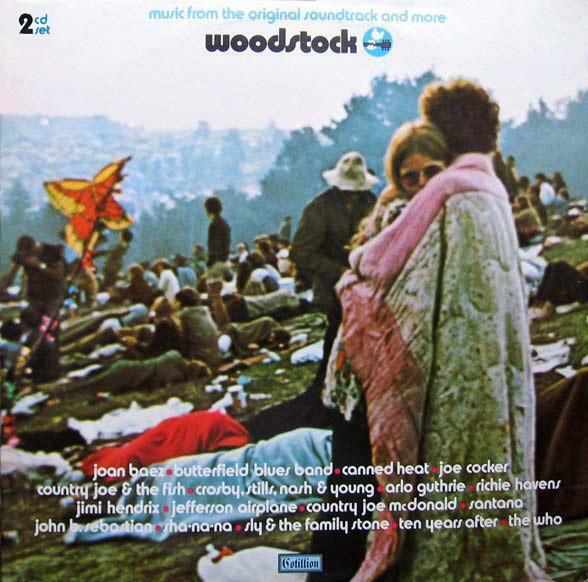 The chapter on Joan Baez discusses her pacifist views in more detail and describes her Institute of Non-Violence in Carmel, California. 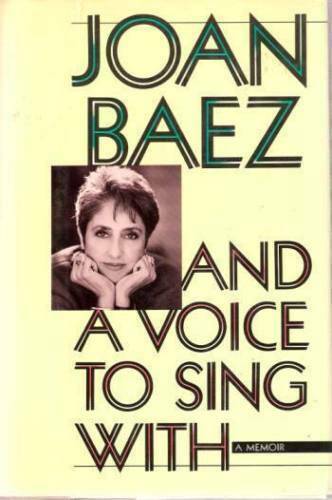 All of our books on Joan Baez can be found here. A disarmingly frank, moving, and sometimes very funny memoir of Joan Baez's life, loves, beliefs, and music. Biography. Records and correspondence. Originally published: London: MacGibbon & Kee, Ltd., 1970. Examines the lives of folk musicians Joan Baez and Bob Dylan, Joan's sister Mimi Baez Farina, and Mimi's writer husband Richard, and discusses the impact of the four young people on the sound and style of the 1960s. Biographical sketches of ten outstanding female singers of popular music in the twentieth century. Includes a chapter entitled "The 60s : Joan Baez, sibyl with guitar." 75 pages, includes illustrations and portraits. Sixty-six songs, with added chord symbols and historical notes. 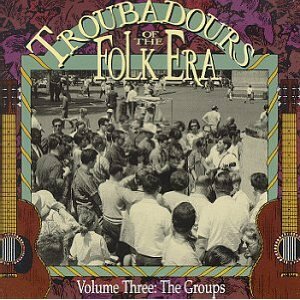 Songs as recorded by Joan Baez, Bob Dylan, Jack Elliott, the Greenbriar Boys, the New Lost City Ramblers, and Peggy Seeger. 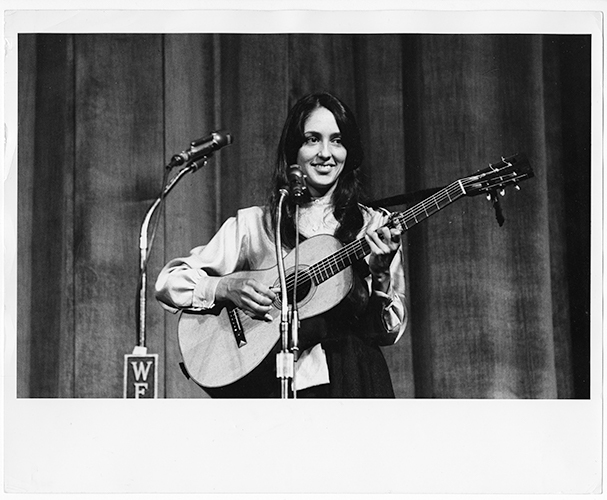 All archival materials related to Joan Baez can be found here. Listed below are notable collections and items of interest. Rock critic for the Plain Dealer, 1952-2002. This collection specifically includes materials related to Joan Baez including interview notes from 1977, photographic materials, and tickets, press, and backstage passes from 1996. Creator of the Michael Ochs Archives for rock and roll photographs. 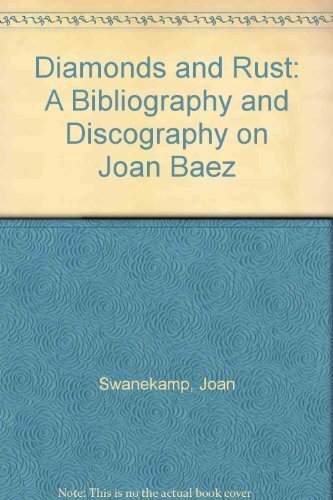 This collection includes a folder of business papers for Joan Baez spanning the years from 1963-1991. It also includes a 1969 press kit. 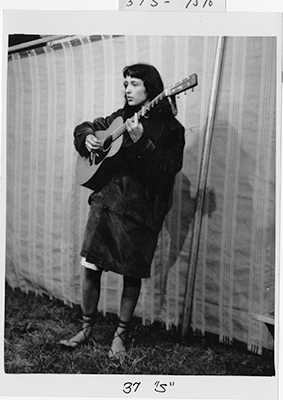 Folk music magazine collection that includes photographs and documents related to Joan Baez. Bootleg cassette recording of a concert with Joan Baez and Bob Dylan in 1964 (Side A) and Dublin, 1966 (Side B). 90 minutes. 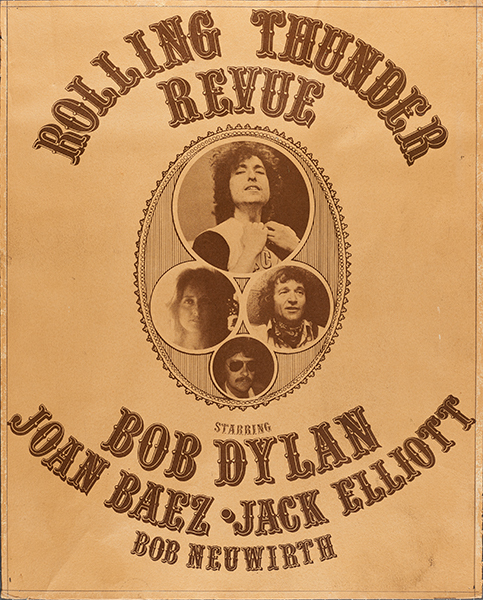 Concert poster for the Rolling Thunder Revue with Bob Dylan, Joan Baez, Jack Elliott, and Bob Neuwirth.